First of all, for all of you who joined in last night, thanks!!!!! If you don't know, or missed yesterday's post, last night we at Dental Product Report held our first ever Tweetchat. The idea is a fairly simple one. We utilized Twitter to conduct a live, fast paced event that allowed anyone with a Twitter account to participate, follow, read, and (if they wanted to) save the entire event. Utilizing a free website, Tweetchat.com, allows you to simply enter a hash tag to follow. Last night, our DPR Tweet Chat was done using the hash tag #dentaltalk. On the Tweetchat.com page where users had entered #dentaltalk to follow, the conversation simply scrolled down the screen. I monitored the page and responded to the questions as they came in. The nice part about Twitter for this is that it allowed me to not only respond with words, but to also show photos to help better make my point or to help educate. It's a great way to do distance learning and much more conversational than a webinar. Webinars are an interesting animal as they are an attempt to take a traditional presenter and audience and adapt them to the world of the web. In most instances the audience logs into a website at a particular time and watches a traditional Powerpoint type slide presentation on their screen while the presenter's voice is utilized over the slides. While this format allows for a very "graphics intensive" format (meaning photos, diagrams, etc can be easily shown), it removes the high level of interest & interaction that comes from audience/presenter interaction. From my personal experience of doing literally hundreds of lectures over the years, I can tell you that interaction is a key part of the learning environment. Some presenters will even utilize webcams to enhance the experience with video, but it still isn't the same as live interpersonal communication. Tweet Chats are much more like sitting around a large table in a conference room and having a discussion. The interaction is high and because everyone is limited by the number of characters, things move fast and furiously. While not as graphics heavy as a webinar, you are still able to share images and even video if you wish. The ability of Twitter to allow everyone to ask questions and get the answers gives the participants the info they need guaranteeing that the only way you don't get your question answered is if you don't ask it. I also like the format because it forces me to be concise & make my point quickly. That means that the audience gets much more into in a faster manner and probably more directly than they might expect. Then, when the Tweet Chat is complete you can select the text from the Tweetchat.com page and save it. As I said at the beginning of this post, this was our first foray into Tweet Chats here at Dental Products Report, but it certainly won't be our last. We'll have others featuring a wide variety of topics and speakers. This is only the beginning and from my personal experience with last night's event, I think there are good things ahead with the medium. If you participated last night, I'd love for you to post in the comments section anything you think about it. Good or bad, it doesn't' matter. this is a learning environment and we'll only be able to address your concerns if you voice them, so feel free. Also, I truly am blessed to be able to do what I do and I thank all of you for helping that happen! Today I received a box from UPS that contained the latest devices from Air Techniques... The Polaris intraoral camera and the Spectra digital visual caries detection system. I've used the original versions of these devices for a few years now. In fact, in 2007 I conducted the FDA 510K Clinical Trial on the Spectra. As a diehard user of digital devices that improve patient care, I'm always on the lookout for better devices, better techniques, and better materials that improve clinical outcomes. I came across this on Indiegogo and I've got to say this looks pretty slick. The Piper unit is a remote app controlled home security system. It can control Z-Wave device controllers, give you a fisheye view of your home and tons of other things as well. If you are interested in pre-ordering one, here is the link. It’s a small, brilliant piece of technology that is packed with sensors. It works seamlessly with Android and iOS smartphones and tablets and can be paired with smart home accessories to keep you safe and in control. Security systems, whether they are professionally installed or do-it-yourself systems, are complicated, require lots of equipment, and can be quite expensive. Piper started because we thought a lot about what is wrong with security systems presently. False alarms, long contracts, expensive, complicated, ugly, and most importantly a real lack of visibility into what exactly is happening at home when you’re not there. Also, for people who live in apartments and small spaces there are not a lot of options available. Combining security, high quality video, and home automation just makes sense. You can’t get real peace of mind without actually seeing what’s happening at home, and the possibilities for making your home more secure and interactive really open up when you add automation to the equation. The National Crime Prevention Council of America found that apartment dwellers face a 85% higher chance of burglary than other types of housing, and since then numerous insurance brokers have reached similar conclusions. The main reasons for this crime are the lack of exterior control and landlord indifference. It’s a troubling reality that most people in rental homes can't expect landlords to agree to a security installation and in the rare case the landlords give permission, it is just too expensive to contemplate. Piper changes this equation and provides millions of people the opportunity of a real solution and for the first time, one that is simple but powerful. And not just apartments, but any type of home or small business can benefit from the simplicity and power of Piper. Home, away and vacation security modes are created and monitored by simple to use rules. Record video, sound the siren or keep the system in stealth mode so you can quietly monitor the intruder. Motion and sound detection - Piper will record a video and notify you if motion is detected or a loud sound occurs. It can even tell you when a smoke or fire alarm goes off. Piper extends the performance of its security system by adding Z-Wave sensors or switches to security rules. Monitor doors and windows and turn lights on if an intruder enters your home. Ritter is pretty much the "grandfather" of dental equipment. The company has been making equipment for dentists and dental offices for over 100 years. In fact, the first dental chair with a round base was produced by Ritter. All previous dental chairs had 4 legs! To celebrate their 125 year history, the company is embarking on a 125 city tour. Read on for all the details. San Antonio, TX – August 22, 2013 – Ritter Dental USA, a leading dental equipment manufacturer with a 125-year legacy of innovation, quality and reliability recently announced its plans to launch the Ritter Road Show, a dental exhibit scheduled to visit 125 cities throughout the United States. Each Ritter Road Show event will be hosted at a local venue, and will include three basic components; innovation, education and fundraising. ¥The Superior and The Excellence Dental Units – Made in Germany and recently-introduced in the U.S.; these dental units represent the perfect balance of technology and comfort, while still being price-sensitive for today’s economy.¥The Ritter Implant System – Precision and price-designed to meet the standards of the most experienced implantologist. Made in Germany using Grade 5 titanium. ¥Digital Abutment and Crown System – Powered by 3Shape and putting digital impressions and CAD/CAM technology within reach of every dentist. ¥Ritter Instruments - Forged from German steel, the Ritter instrument line offers quality and precision for general practitioners, specialists and hygienists. •Dentist-Direct Zero %, In-House Financing - For qualified buyers. “The best price we’ve seen for both of these courses is $80.00,” explains Battah. “Our discounted tuition is only $40.00 per person. We’re keeping $20.00 just to cover our cost for the course materials, and donating the remaining $20.00 to local dental societies for their local charitable programs. Dental professionals can direct their donations to their local societies during the online registration process. The Ritter Road Show will also include training for dental equipment technicians which is mandatory to become authorized Ritter Dental Technicians. “It’s all part of our goal to expand our dealer network to better serve the Ritter customer base on a local level,” says Battah. Ritter’s fundraising efforts will be directed towards local dental societies located in the 125 Ritter Road Show destination cities. For every local dental society member who pays the $40.00 tuition fee for the CPR/AED and bloodborne pathogen safety courses, $20.00 will be donated to their local society to fund local charitable programs. For more details about the Ritter Road Show, including dates, locations and registration, visit www.RitterRoadShow.com. For company and product information, visit www.RitterDentalUSA.com or call toll-free 855-807-8111. Based in San Antonio, Texas, Ritter Dental USA is the sister company of Ritter Concept GmbH, which is headquartered in Germany and designs and manufactures, world-class dental equipment that includes treatment chairs, stools, operatory lights, autoclaves, compression/suction units, instruments, radiography equipment, intraoral cameras and implants. For more details visit www.RitterDentalUSA.com. Follow us on Facebook, Twitter, LinkedIn, YouTube and Google+. In dentistry, there is a huge focus on digital impressions and digital lab fabrication or in-office milling. Because smart companies have been doing R&D in that part of the digital world, dentistry probably has a bit of a lead on some other areas when it comes to the subject of 3D acquisition & fabrication. However, in the past 6 months or so there have been more than a few stories in the mainstream media about 3D printing. The field has been evolving & improving rapidly. It's now to the point that consumers can own their very own 3D scanners & printers. This used to only be the realm of corporations that had big budgets and could justify the expense. The machines allowed companies to create rapid prototypes, but were prohibitively expensive. Now smaller versions are being made available to the consumer market. Cool huh? I've been impressed enough with what I've seen up to this point, but now I'm really amazed. I happened to be looking at indiegogo.com and stumbled across the device shown above called FABtotum. The FABtotum device is pretty amazing. It is not only a 3D scanner and printer, but it *also* is a 3D milling device as well. That's right, you can literally scan an object then print it, then mill it out of something like wood, light aluminum, or brass. The truly most amazing part? You can get one of these for $1,099 if you pre-order. Imagine what you could do with this thing! Don't take my word for it, take the word of the hard working folks at the Wall Street Journal. According to a story in the WSJ, the National Security Agency has the capacity and the ability to monitor three quarters of the Internet traffic here in the good old US of A. By forcing compliance by the US telecommunications companies, the NSA can access roughly 75% of the traffic because that's the amount of traffic these companies carry and no one knows for sure how much they *do* monitor from a quantity standpoint. Now granted, I used the word quantity on purpose because we still really don't know about the quality of what they get. By that, I mean we don't know if there is some giant repository of all your emails somewhere and if they are reading them. However, with the price of storage dropping almost continuously, I would wager that they have copies of your stuff somewhere. Supposedly, once they got access to the traffic from the telecoms, they then use parameters to determine what to look at. That can be things such as IP addresses, email addresses, phone numbers, and other qualifying data. However, even though the NSA is supposed to only be monitoring foreign info passing through the US from outside or from US to outside or outside to US, supposedly your emails can be read as well. While I'm all for keeping us all safe, I'm also a bit jumpy on someone saving stuff that I think may have been deleted long ago. Ronald Regan once endorsed the concept of "Trust but Verify". That's still a good policy today. If you would like the read the Wall Street Journal article (and I recommend you do), you can find it here. As many of you readers will remember, I purchased and began flying my own personal UAV last fall. I've had a great time flying… and occasionally crashing my hexacopter drone. It's been a really fun experience and I am really glad I got involved although with my schedule I don't have as much time for it as I'd like. Now the company that I bought my drone and parts from, 3D Robotics is announcing a more user friendly and less do it yourself type copter called the 3DR Iris. The idea is to provide a copter that is easier to comprehend and easier to fly. Geeky people like me love the DIY part of the drone, but for lots of people, they just want to fly… and this is aimed directly at them. The new Iris from 3D Robotics is a compact, ready-to-fly, fully autonomous aerial vehicle designed specifically for the consumer market. Iris provides point-and-click mission planning with 127 configurable waypoints that can guide it from take-off to landing, all from your mobile device or computer. Sporting a stylish and sleek body that resists crash damage, Iris is designed with a wide angle between the front arms to provide a clear view for its on-board camera -- an optional GoPro Hero 3 ® can be included with the package to capture your favorite moments from the most unique angles. These pre-ordered Iris vehicles are intended for developers and experienced operators who wish to participate in the development of this exciting product. While these vehicles will arrive fully operational and ready to fly out of the box, users should be prepared for small firmware updates and other minor enhancements in the field. Users of this product will be invited to participate in a stand-alone discussion group regarding the product, and will receive high-touch advanced support through our community. Open source flight code, ground station software and electronics are all freely distributed under standard open source licenses. This means that Iris' capabilities are always improving and expanding with a simple firmware update! Pre-orders for Iris will begin shipping September 16th. These pre-ordered vehicles are intended for developer level users who are familiar and comfortable with operating multi-rotor vehicles from 3D Robotics. A full consumer release of the product will follow shortly thereafter. Well, i'm back from California. Since last Wednesday night, I've been in the beautiful city of San Francisco attending the northern version of the California Dental Association state meeting. The state has so many dentists that they have two meetings. The CDA South meeting is in Anaheim in the Spring and the CDA North meeting is in early fall in San Francisco. Thursday, Friday, and Saturday my good friends Paul Feuerstein, Marty Jablow and myself were co-lecuring at the meeting. We did 5 lectures in 3 days which consisted of one full day on Thursday and 2 half day sessions on both Friday and Saturday. Each was a unique lecture which allowed us to focus on different topics each time. I was blown away by how many people attended the presentations, with many folks coming for almost every one! I was stunned to say the least. My takeaway from that is this: There's a great deal of interest in dental technology right now. Many doctors are now convinced of how much dental tech can do for them and they want to get onboard. They want to make the right decisions for their practices and be able to share the benefits with their patients. It's only going to get better as things move forward. Stay tuned to the blog for updates of products I saw and the evolution of the profession. I was listening to my buddy Dr. Paul Feuerstein yesterday (follow him on Twitter @drpaulf). He is a tremendous resource on a lot of things tech and especially digital impressions. A few years ago Paul was approached by some folks in research at MIT to help them with a project. It eventually became a company called Brontes and was eventually purchased by 3M and became the True Definition Scanner. Along that journey, Paul became perhaps the best informed expert on digital impressions & CAD/CAM in dentistry. So… I was listening to Paul on Thursday as he discussed the changes and growth in the marketplace of digital impressions and i'm here to tell you that you can expect some serious changes and advancements in the next couple of years. I've been involved with digital impressions and CAD/CAM dentistry for about 15 years now and I've seen a lot of changes, but I can tell you after what I've seen and what Paul has seen in the R&D world, there will be a lot of changes & new devcies coming to market in the next few years. We currently have a CEREC and an iTero system (pictured above). The quality of the digital impression systems has made us much more efficient and decreased the amount of time patients spend in the chair on preparation appointments as well as frequently decreasing the amount of time patients spend with us during cementation appointments. So, if you are looking at the prospect of bringing digital impressions into your office, this is a great time. Development and market penetration are going to be growing significantly in the near future. Today Google announced the hardware platform is getting a new Video player, improved voice control, voice activated Path and Evernote updates, #hashtags, better SMS support and additional Google Now cards. The list below is straight from the Google Glass page on Google+ take a look at all the new features, I can't wait to get my hands on one of these. Restaurants, hotels, events - Be reminded of dinner reservations, hotel bookings and concerts. You’ll see these reminders for places that sent you an email confirmation. Movies - Find showtimes and movie information for nearby theaters. Emergency alerts - Change your plans on the fly when severe thunderstorm or flash flood warnings are in effect. Traffic - Get traffic conditions and alternate routes before you leave for work. Weather - Know how to dress before stepping out the door. Sports - See live scores for your favorite teams. Now when you’re watching your videos or video updates from CNN, you can tap to pause, play and swipe to fast forward or rewind, letting you skip to the moment you care most about. I've blogged about the Statim 5000 G4 in the past, but I want to revisit it because even going on a year with it, I'm still impressed with it. The G4 is a fast sterilizer system but better than that, it also is Internet connected. It stays in contact with Statim & with my service folks at Goetze Dental so that they are aware of any problems the device has & can send service with the needed parts should a problem arise. For every cycle that is run, I get an email, that's right the device sends me an email, with all the pertinent info from each cycle. If a cycle fails or is aborted, I get notified of that as well. It's a great way of keeping track of our autoclave's efficiency and a great way to know our device is working perfectly. For all the info on the Statim System, click here. A back to back Casio posting here on the blog! It seems my infatuation with Casio's G-Shock line of watches has carried over into a second post in as many days. While perusing the 'net, I found that Casio is currently getting ready to celebrate the birthday of the G-Shock… the 30th birthday to be precise (man does that make *me* feel old). While one of the things I love about these watches is their price tag (which isn't cheap, but isn't expensive either), this one definitely breaks that rule. Most G-Shock watches are sub $300 and many are just a bit over $100. However, this one will be retailing for $900. That's because instead of a resin casing, this bad boy has a stainless shell body & band. This increases the weight from the usual 2.8 oz to 6.6 oz, but it also provides a styling that lets you wear the one with a suit. Pretty cool if you ask me. It's also solar & sets with the atomic signal (like the one I blogged about yesterday that is currently on my wrist). Want all the details on this one plus its siblings that will be available this fall for the 30th anniversary? Read all about them on Wired! As a diehard geek, I've always been a watch guy. I suppose it has to do with the fact that watches can be just such amazing gadgets. While I don't spend my hard-earned money on timepieces with a ridiculously high price tag, I do have a fair number of techie watches in my collection. The latest addition to this collection, is a G-Shock from Casio. The G-Shock has been around for 30 years now and while originally they were considered a key key timepiece, they have now entered the realm of watches seen on the wrists of normal everyday human beings. This one, is my 5th G-Shock since the series launched 30 years ago. I've always loved the G-Shock line as they've always been fairly affordable while at the same time being designed to take a severe beating without showing signs of wear and tear. There are also famous for very long battery life because who wants a great watch that has to have the battery changed every year? I was drawn to the 200M Casio G-Shock Aviation Solar Atomic Multiband GW3000B-1A for a couple of reasons. The 1st being that the watch receives a time signal from the US atomic clock. This means you never have to set the watch as it receives a radio signal and then adjusts itself accordingly. The 2nd is that the face of the watch is a solar panel that allows the battery to recharge any time the watch is in light. This means that once I configured it for my time zone I never have to set it *and* the battery never goes out. Add to that the fact that I love the way it looks and it's a great watch for me. It also has all the functions and versatility of a G-Shock which means it has multiple time zones, Date, Water Resistant 200M, Perpetual Calendar, Alarm, and a Chronograph. It will definitely hold up to whatever I can throw at it. If you are looking for a timepiece and you like the looks of this one, as far as what I think of it… It is *highly recommended*. 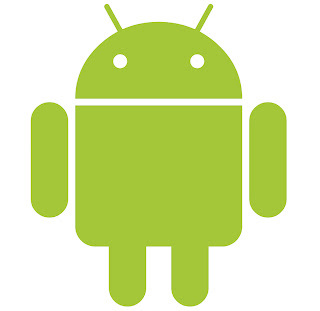 The latest numbers are out and Android is still topping the numbers for smartphones. Topping and increasing in what I consider a significant way. For years the wireless phone market has been a race between Blackberry, Windows, Apple, and Android. When Apple released the iPhone, it was such a dramatic change from the options consumers had at the time, that it quickly became "the" phone to have. However, competition is a good thing and soon other companies were working on software & devices to compete with Apple. 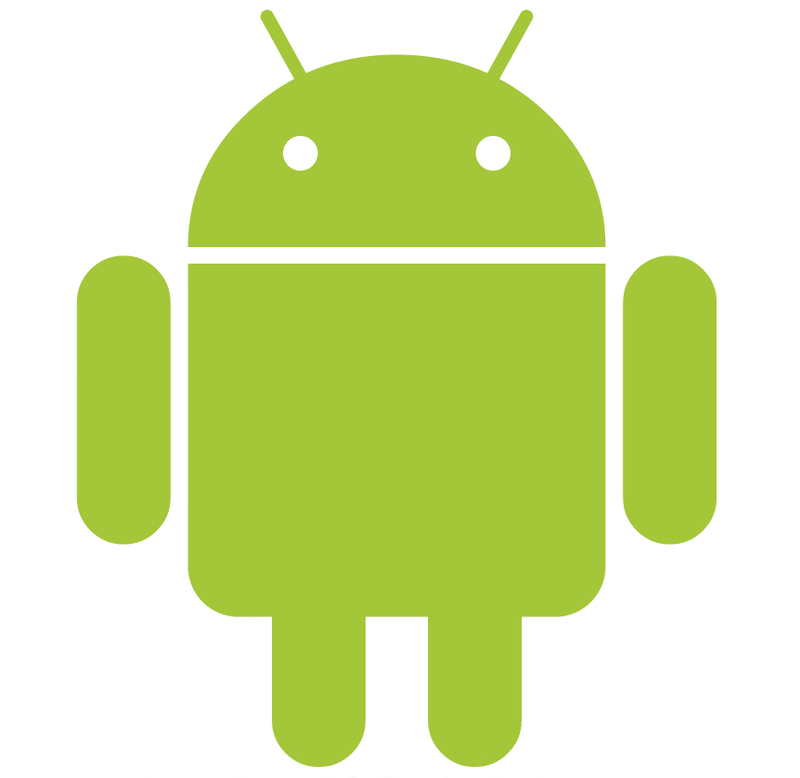 One of those companies was Google who purchased the company that had created the original Android OS. Google had a pretty smart business plan which was to give the software to handset makers and then make their money on their core business of advertising. This effectively setup a situation similar to Windows & Apple in the PC days with Microsoft letting lots of hardware companies make Windows PCs while Apple made all hardware themselves. This lead to Windows dominance in the market. It looks like the same thing is now happening in the handset market with Android being available from many different manufacturers while Apple keeps its iPhone in-house. This has lead to consumers having tons of choices for Android and only one choice for iPhone. Most consumers are not diehard fanboys & will simply buy what works, what is affordable, and what is readily available. In short, they don't care about the OS, they just want their device to work. This is now showing up in a big way when you look at the market numbers. The latest released industry percentages show Apple with 13.2 percent of the market in Q2 2013 which is down from 16.6% in Q2 2012. That's a drop of 3.4% in the last year, which is significant. At the same time Android has increased from 69.1% to 79.3%. So while Apple has a drop, Android has seen a huge gain. Of course, this is only for phones. In the tablet world Apple is running circles around all comers including Android. However, they once also rang rings around everyone in the phone world too. I just got back from 3 days at Space Camp at the U.S. Space & Rocket Center in Huntsville, Alabama. A few years ago, I was in Huntsville doing a laser training session for a doctor and I had landed in Huntsville late at night. I grabbed a rental car and proceeded to check in at the Marriott which was very close to the airport. I should've known something was up when the address of the Marriott was "One Tranquility Base". Once in my room, I hit the bed and was out like a light. The next morning when I awoke, I was stunned as I opened the curtains to see a Saturn V rocket staring me in the face. It turns out the the Marriott borders the U.S Space & Rocket Center, home of Space Camp. After seeing it, I had vowed that one day I would return and actually participate in a Space Camp session. As you can see from the pic above, I got to do just that. The photo shows me & my partner aboard the shuttle simulator, about to depart (in full space suits) for an EVA (extra vehicular activity) or space walk. We were hooked to devcies that simulated zero gravity and were working on the outside of the shuttle. Needless to say, it rocked! I got a chance to try 1/6 gravity like on the moon, got to fly the jetpack simulator, and got 2 do 2 shuttle flight simulations… among tons of other activities. Space Camp is a well run and well organized chance for ordinary folks to learn what it takes to train like an astronaut and to experience some of the most amazing things about space exploration. For a diehard geek like me, it was a dream come true! The accommodations are spartan, but definitely comfy & livable, especially since you won't really spend much time in your room inside the "habitat". They kept us going from about 6:30 in the morning until about 9:00 at night. The program consists of a combination of lectures on the history of the space program as well as physical efforts on training devcies, and shuttle missions. All in all it was an amazing time! If you've ever wanted to find out more about what NASA does, Space Camp is a must see/do. It's definitely something I'm glad I got a chance to do & would gladly do it again! Pittsburgh, PA (August 6, 2013) – Atlantic Precious Metal Refining (Atlantic), a Pittsburgh-based precious metal refinery serving dental professionals worldwide, is pleased to announce the launch of Strategy Milling©, a revolutionary state-of-the-art milling center providing dental professionals convenient, affordable, and never before available milled full contour gold crowns and bridges. Powered by Atlantic, this revolutionary milling center saves the dental professional time and money, provides superior restorations with the unsurpassed accuracy of digital, and eliminates unwanted and expensive onsite alloy inventory. By utilizing Strategy Milling’s services, dental professionals will save a substantial amount of time while reaping several economic advantages. There is no longer a need to stock unwanted and expensive alloy onsite as customers are billed for only the alloy used as each gold crown is milled. Moreover, bench time formerly dedicated to the many time consuming tasks of preparing gold restorations (i.e. waxing, spruing, investing, burnout, casting, divesting, etc.) can be spent on other tasks. All milled restoration cases received by Strategy Milling are returned to the customer quickly and efficiently within a 24-hour timeframe. Specifically, any order received by 12:00 p.m. Eastern time during regular business hours Monday through Friday will ship the following business day. Moreover, the delivered restorations require minimal finishing and polishing resulting in additional time savings. For more information about Strategy Milling, please call Scott Mappin directly at 802-999-5577 or visit www.strategymilling.com. For more information about Atlantic, please call 800-289-9293 or visit www.apmr.com. Atlantic Precious Metal Refining (Atlantic) is a Pittsburgh-based precious metal refinery owned and operated by a U.S. Air Force veteran and former dental laboratory technician. Proudly serving clients from across the U.S. and around the world for more than 25 years, Atlantic processes a variety of gold, silver, platinum, and palladium materials including: crowns, bridges, sprues, and casting buttons; bench, floor, and carpet sweeps; dust collector bags, vacuum bags, suction unit tubing, and filters; flatware, jewelry, and more. To learn more, please visit www.apmr.com. As most of you know, I do a lot of testing, tinkering, and breaking of things as part of my job as Technology Editor for Dental Products Report and as my "other job" of consultant to manufacturers and other companies involved in the sphere of healthcare and information technology. I recently received the following spear phishing scan and thought I would share it with all of you. The graphic above was received as part of an email from a very "bland"email address. Since I get a fair amount of shipments to my office, this particular email didn't' stand out as something suspicious. However, over the years I've learned to be careful whenever someone wants me to click on something & provide them some information. It's especially susupicious to me when an email asks me to click on something & download a file. In this case it was to download a mailing label. Now logic would say that if the company hasn't been able to deliver my package, I shouldn't need to download a mailing label, but I didn't' really think about that. Instead, what I did was to hover my mouse over the "download mailing label" area to see what the hyperlink was. In case you didn't know, leaving your mouse over a link will usually cause the link to show up, either at the bottom of the page or sometimes just floating by the mouse cursor. By doing this, I was able to see that the link was in no way related to DHL and was directing me to some strange site I'd never heard of. Needless to say, I didn't click. The moral to the story is that by being cautious, taking your time to really think things through, and analyzing the potential threats, you can help avoid mistakes that can give the bad guys your data. Malvern, PA (July 31, 2013) – DentalEZ® Group, a supplier of innovative products and services for dental health professionals worldwide, is pleased to offer the new StarDental® Titan® E-Type Motor and attachments. The new Titan E-Type Motor is an adaptable low-speed motor built on the reliable foundation of the Titan® 3 motor and is designed to work with all standard E-Type attachments. Designed with a new look on the outside, the Titan E-Type Motor has the same durability and reliable low-speed performance of the Titan 3, a classic industry standard among dental professionals for superior low-speed operation since its inception in 1969. The Titan E-Type Motor features a new lightweight aluminum exterior, yet has the traditional core design of durable stainless steel. Engineered with exceptional balance for superior control, the Titan E-Type Motor displays consistent performance with both forward and reverse functions and is built to withstand conditions under higher torque requirements without stalling. The versatile long-lasting motor delivers high performance ranging in speeds from 100-20,000 RPM. The Titan E-Type Motor provides innovative LubeFree™ low-speed performance that greatly reduces maintenance time and the high cost of repeated lubrication. Available in both fixed back end and swivel connections, the Titan E-Type Motor is compatible with all ISO standard E-Type contras and attachments including straight nose cones, contra angle sheaths, and bb latch angles. For more information on the new StarDental E-Type Motor and all DentalEZ offerings, please call 866-DTE-INFO or visit www.DentalEZ.com. DentalEZ® Group is committed to advancing the practice of dentistry through innovative products and services. Encompassing six distinct product brands — StarDental®, DentalEZ®, CustomAir®, RAMVAC®,NevinLabs™ and Columbia Dentoform® — DentalEZ® Group manufactures everything in the operatory, from handpieces to chairs to vacuum systems to dental simulation models, creating a complete line of products to elevate the health, comfort, and efficiency of the dental operatory. For more information, please visit www.dentalez.com. Remember a few years back when Nike brought the shoe design "Shox" to the market? The idea was some springs placed in the heel of the shoe allowed for better cushioning and actually used the runner's kinetic energy to compress the springs & then get a return of some of that energy as the springs "bounce" back. Well, now Adidas has taken that concept to a whole new level with the shoe design they are calling "Springblade". As you can see from the photo above, it's an interesting concept. The sole of the shoe has a series of "blades" (16 total) that comprises the entire sole. Basically the only part of the shoe that makes contact with the ground are the blades. They are made of a strong polymer resin and instead of using the spring concept where the spring is compressed and then vertically expands to return to its original shape, the blade concept redirects the energy. That redirection of energy is key to the Springblade concept. In the pic, you'll notice that the blades are attached to the shoe at an angle. This angle compresses with the weight of the runner during a stride and then rebounds as the next stride is taken. However, unlike a spring which returns the energy vertically, the blade's angle attachment means that as the blade returns to its normal shape the kinetic energy imparted to it propels the runner forward. The company has spent some time and money with R&D on this concept as they have even gone so far as to customize the blade concept for different shoe sizes. The idea being that the weight of a male wearing a large size shoe will impart completely different physical forces than a female wearing a much smaller size. Supposedly the shoes are "calibrated" to provide maximum effect for each shoe size.